Posted on 12, December 2016 by EuropaWire PR Editors | This entry was posted in Aviation & Aerospace, Industrial, Travel, United Kingdom and tagged Boeing 787 Dreamliner, Gary Moore, The Rolls-Royce, Trent 1000 TEN. Bookmark the permalink. DERBY, UK, 12-Dec-2016 — /EuropaWire/ — The Rolls-Royce Trent 1000 TEN has powered a Boeing 787 Dreamliner flight for the first time. 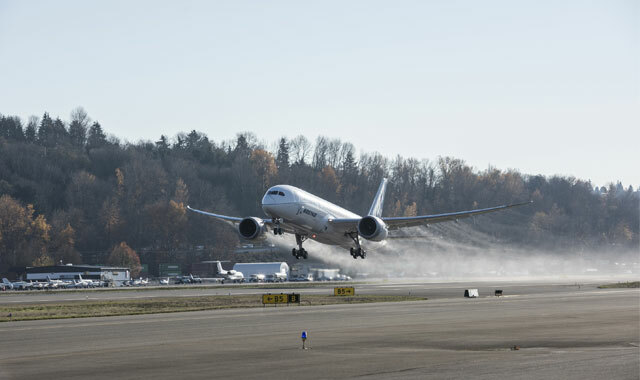 The flight, which took off and landed at Boeing Field, Seattle, Washington, US, marks the latest phase in the engine’s development programme. The Trent 1000 TEN has also been selected to power the first test flight of the Boeing 787-10 version of the Dreamliner next year. This means the Trent 1000 will have powered the first flight of every version of the 787. The Trent 1000 TEN has already powered tests earlier this year on the Rolls-Royce Flying Test Bed aircraft, a Boeing 747, at Tucson, Arizona, US. The Trent 1000 TEN (Thrust, Efficiency and New Technology) will power all variants of the Boeing 787 Dreamliner family. The engine draws on technologies from the Rolls-Royce Trent XWB engine and Advance engine programme, delivering thrust and efficiency improvements. The Trent 1000 powered the first 787-8 entry into service in 2011 and the first 787-9 into service in 2014. Annual underlying revenue was £13.4 billion in 2015, around half of which came from the provision of aftermarket services. The firm and announced order book stood at £79.5 billion at the end of June 2016. Rolls-Royce employs over 50,000 people in more than 46 countries. More than 16,000 of these are engineers.